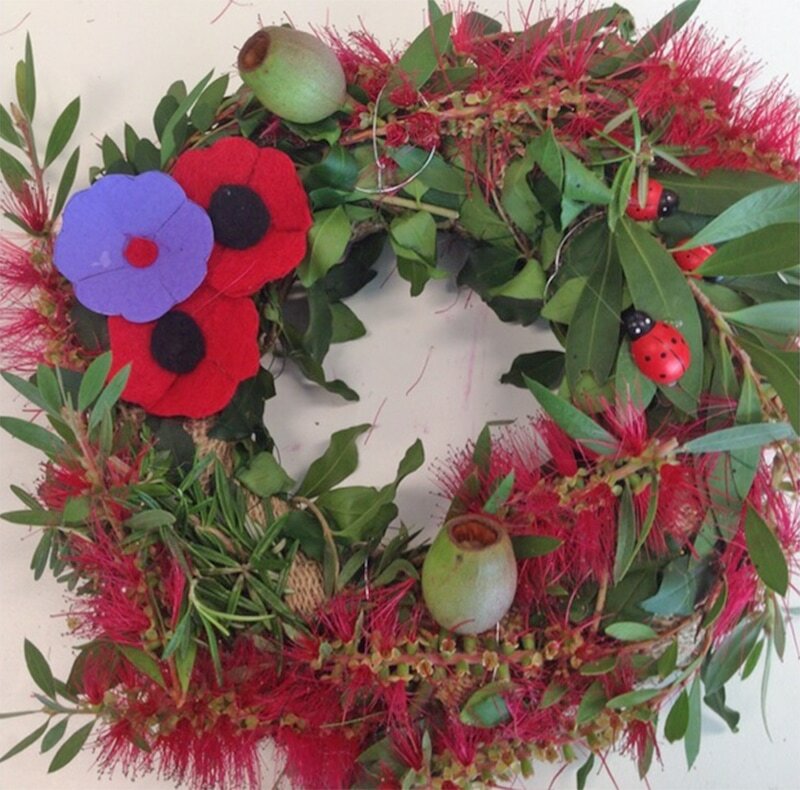 Thank you to everyone who attended our ANZAC Wreath Making Workshop at Ulinga Park Community Hall recently – a great time was had by all. Whilst Kieran explained the background to wreaths in general, and all participants made a wreath to their own liking, there were quite a few ANZAC wreaths constructed on the day. In the form of circles, wreaths are symbolic of inclusion, unity and balance – qualities which fit perfectly with the aims of every Sustainable Neighbourhood Group. 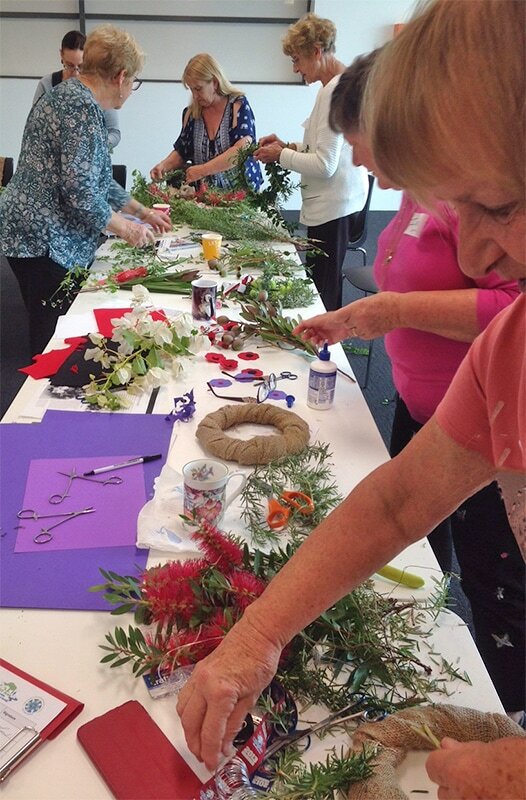 The CASNG Share A Skill – Learn A Skill series of activities have become an eagerly anticipated event throughout the community, and there’ll be more on offer later in the year – including a repeat of the Christmas Wreath Workshop in December. Thank you to all who attended and/or supplied plant materials, and a special thank you to Kieran and Jenny for the expert way in which they organised and ran the Workshop, including the morning tea provided. The 2017 CASNG Share A Skill - Learn A Skill series of activities have involved some of our members sharing their skills with local residents - and the activities, spread across the year, have been a roaring success. The most recent to be run was also the first of our Share A Skill - Learn A Skill activities to be repeated. And a timely repetition it was too. Seventeen people gathered at the Ulinga Park Community Hall in early December, to once again reap the benefit of CASNG Member Kieran's experience in making wreaths predominantly using plant materials - the emphasis, of course at this activity, on producing a wreath to use around the home as a Christmas decoration. Under Kieran's guidance, and utilizing the plant collection skills of other CASNG Members - Bob, Jenny, Cassandra, Kerry and Rhonda - the participants let their imaginations run wild with design ideas. A collection of photographs of the finished wreaths is shown below. Feedback from the participants indicated that they appreciated the chance to meet new people, whilst learning new skills, and all in a relaxed and friendly atmosphere. CASNG has been proud to provide such opportunities, particularly with an emphasis on a friendly atmosphere, throughout the year. What began as an unknown trial, has firmly become part of the CASNG Calendar. At the How to Make a Beeswax Wrap Share A Skill - Learn A Skill activity also held earlier in the year at Ulinga Park Community Hall, a pair of Welcome Swallows greeted us in their nest above the door of the Hall - we were delighted to find 13 weeks later that the greeting party had been extended by three. Welcome Swallow chicks have stark white marks along the edges of their beaks, giving parents a guiding line for where to deposit the food which they are constantly on the wing collecting for their demanding children. Once again we felt truly welcome. ​Cardiff Library Programming Space became a riot of colour and scented foliage at the first ever CASNG Share a Skill - Learn a Skill workshop. CASNG took a sustainable approach when invited to present a tribute on ANZAC Day at the Cardiff RSL Dawn Service. Instead of buying a wreath, CASNG invited the community to help us make one from recycled materials and local foliage, using a minimum of purchased items. At this workshop, attended by fourteen lovely locals, a number of beautiful and unique wreaths were created. Attendees built their wreaths on bases that included wire coat hangers, weeping mulberry branches, may branches, and cardboard rings. There were ribbons, hessian and fabric on hand to enhance the designs. 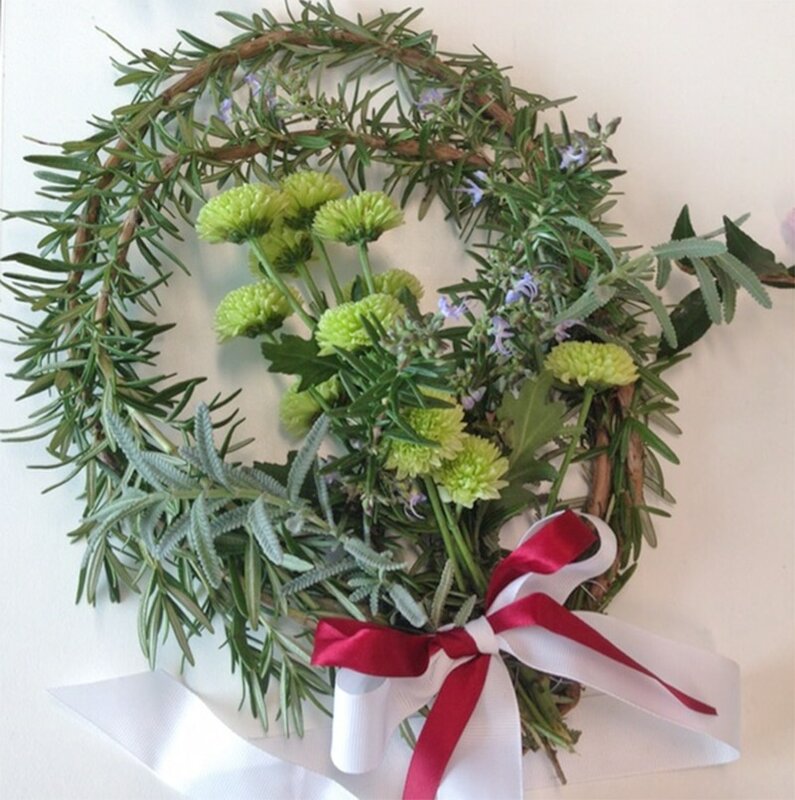 One lady simply wove some pieces of rosemary together and added flowers for a stunning effect. It is worth noting that, in the form of circles, wreaths are symbolic of inclusion, unity and balance - qualities every neighbourhood needs to be sustainable. CASNG feels that the morning certainly was a sustainable event, socially and environmentally. It was a great chance to meet community members who can't necessarily attend our more physically active outdoor events. Thanks go to many people for making the morning a success, including Cardiff Branch Librarian Melissa Kite, CASNG members Kerry and Rhonda for assisting in the delivery of the workshop, Daniel and Jennifer for supplying so much beautiful foliage and photographers Bob and Barry. Several days later, on ANZAC Day, members Gavin and Diane laid a pine and rosemary wreath, highlighted with roly poly satin ash leaves and magnificent gum nuts, on the Cardiff RSL Cenotaph. CASNG also presented a copy of 'Flapper, VC' by Mark Wilson, as a tribute, which has since become part of Cardiff North Primary School's library.